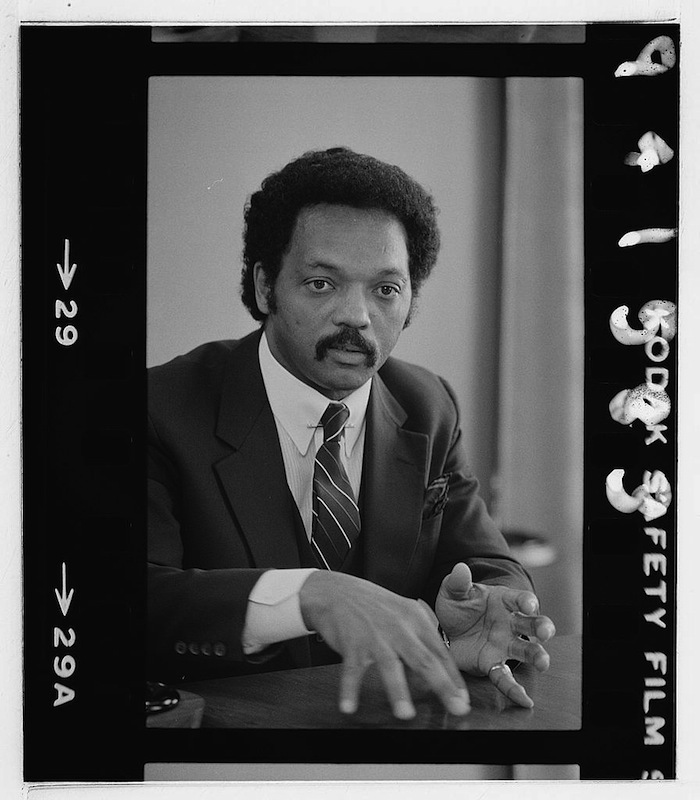 Histories of the National Mall | Jesse Jackson Sr.
Jesse Jackson Sr., “Jesse Jackson Sr.,” Histories of the National Mall, accessed April 23, 2019, http://mallhistory.org/items/show/73. In May 1968, Jesse Jackson and other members of the Southern Christian Leadership Conference (SCLC) gathered in Washington, DC, to draw attention to poverty through the Poor Peoples' Campaign. Carrying on the work of Dr. Martin Luther King Jr. after his assassination in April of that year, the SCLC lobbied Congress to create laws that encouraged economic equality. To highlight issues of economic inequality, SCLC constructed a temporary encampment known as Resurrection City on the Mall near the Lincoln Memorial. Jackson served as city manager and mayor of the tent city for its six week existence. Jesse Jackson was born Jesse Louis Burns in Greenville, SC. His last name changed to Jackson when his mother, Helen Burns, married Charles H. Jackson when Jesse was one year old. After graduating high school, Jackson attended the University of Illinois for two semesters on a football scholarship. He then transferred to North Carolina A&T, a historically black college in Greensboro, North Carolina. While at A&T, Jackson became active in civil rights protests against segregation. He graduated in 1964 with a BA in Sociology, and moved to Chicago to study for a Masters of Divinity at Chicago Theological Seminary. However, he dropped out two years later in order to devote himself full-time to the Civil Rights Movement. Jackson had participated in the 1965 Selma to Montgomery Marches, where he met Martin Luther King Jr. and other leaders of the Southern Christian Leadership Conference (SCLC). He helped establish a branch of the SCLC in Chicago that fall, and in 1966 was appointed head of the Chicago division of Operation Breadbasket, a civil rights economic program run by the SCLC. Jackson also worked on the Poor People’s Campaign of 1968, during which he was city manager and mayor of Resurrection City, a tent city erected on the National Mall to bring attention to economic inequality in the United States. During the Poor People’s Campaign, Jackson frequently disagreed with Ralph Abernathy, who took over leadership of the Campaign and SCLC after King’s death. In 1971, conflicts with the leadership of the SCLC came to a head, and Jackson resigned from the organization to form his own, Operation PUSH (People United to Save Humanity), dedicated to promoting economic opportunity for poor people of all races. He ran for President of the United States in 1984 and 1986, supported by the National Rainbow Coalition, a group he created to press for political empowerment and social policy change. In 1991, Jackson was elected shadow senator for the District of Columbia; he has been an advocate for DC statehood. Jackson has been active in national and international politics, written a weekly syndicated column, and hosted a television show on CNN. He was awarded the Presidential Medal of Freedom on August 9, 2000.